The Amish Hardwood Large DVD Tower provides room for 96 of your favorite feature films on DVD. Keep your living room or family room organized and reduce coffee table clutter with this solid wood tower to store your movies. 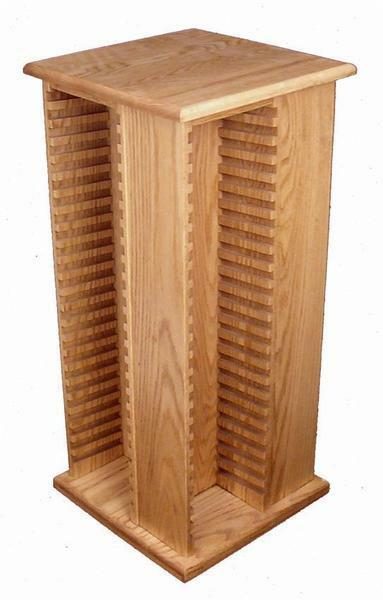 An essential for your living room furniture collection, this Amish made DVD tower is available in your choice of oak, cherry or quarter sawn white oak wood. This solid wood furniture will last for years to come, providing plenty of room as your movie collection grows. 15.5" x 15.5" x 34.5"